The Loop will be closed on Monday, Sept. 5th for the Labour Day holiday, we’ll re-open on Tuesday, Sept. 6th at 10:00 am. Enjoy your long weekend! 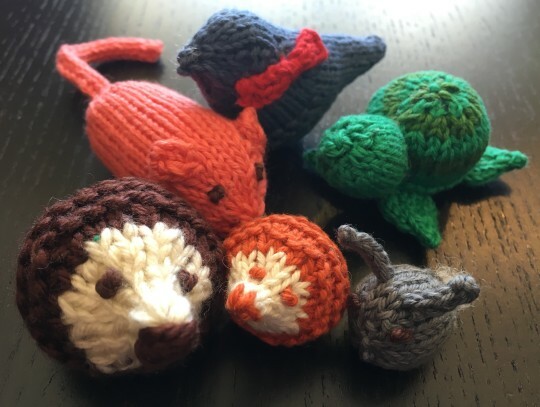 This weeks finished object is a collection of adorable, totally squee-worthy tiny animals knitted by Susan! Amazing work, Susan, that is the cutest menagerie EVER!! Beads!! We got lots and lots of beads! A whole box full! Plus a bucket of spindles! 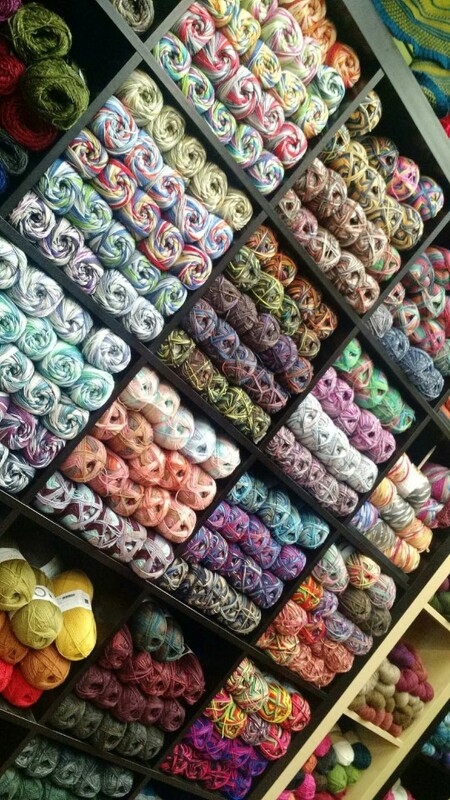 And finally, a new yarn from Schoppel-Wolle! 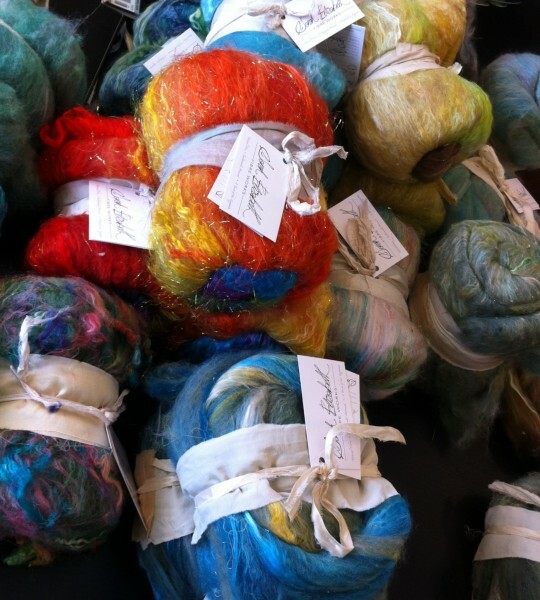 Edition 3.0 is a sport weight, superwash yarn, it’s available in 50 gram/150 metre (164 yard) balls. It’s also self-striping and incredibly soft! 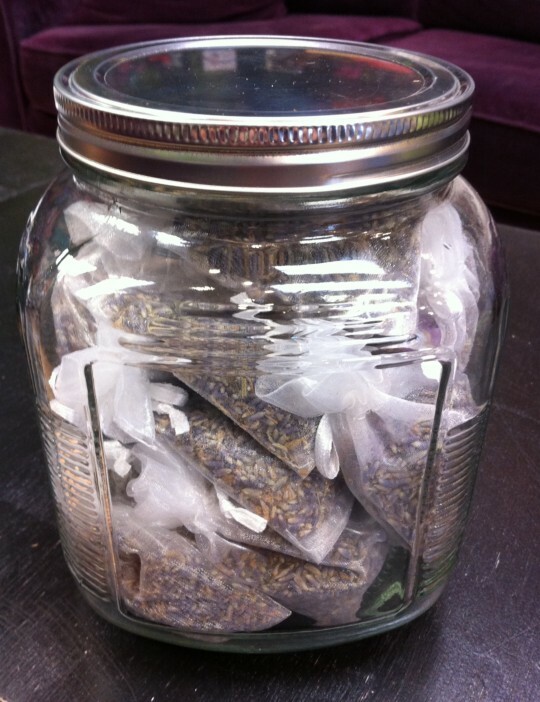 Today’s finished object was made by Doris! 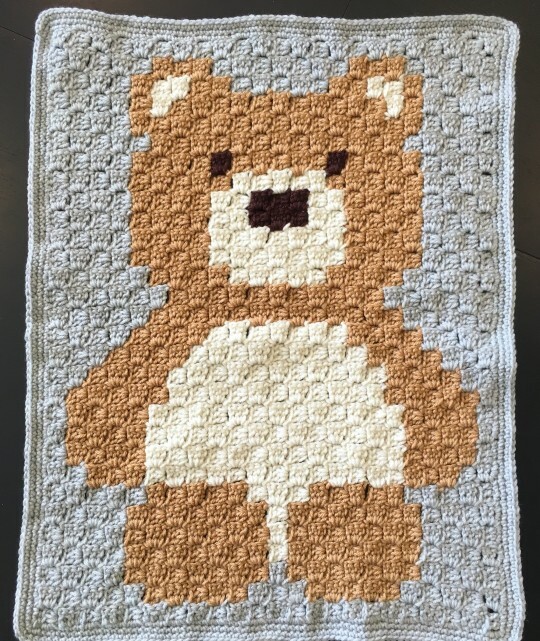 This ‘beary” adorable baby blanket was crocheted out of Uptown Worsted, using the corner to corner method. Doris found the pattern on the website Repeat Crafter Me and she did a fabulous job. That is one lucky baby! 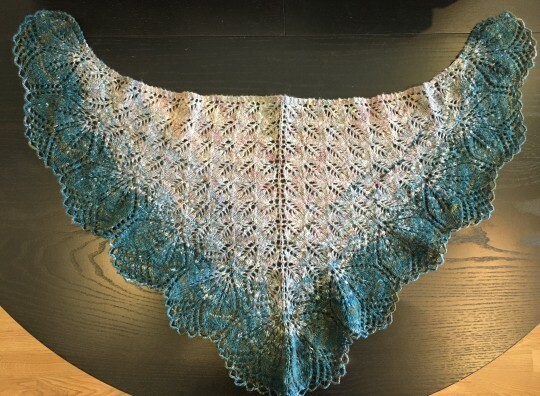 Today’s finished object is a beautiful Haruni shawl. 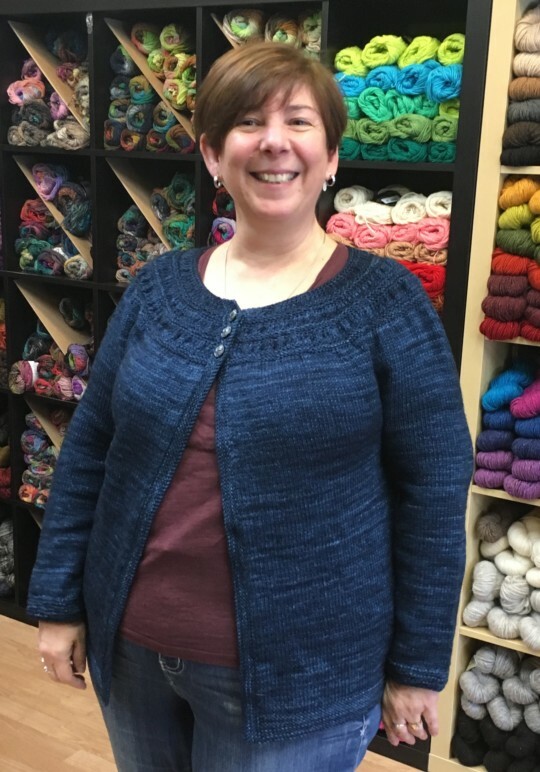 Hunter took it all the way by spinning the yarn from one of our Sarah Elizabeth batts and then knitting it into that amazing shawl. Gorgeous! !